In this video you can see two images showing cloud and light over the Large Hadron Collider (LHC) at Geneva, the same day CERN scientists began a new Awake experiment to change the way it smashes particles together. This video entitled What portal did CERN open now? Strange Clouds Hover Above the LHC, was made by Freedom Fighter Times and raises "major concerns" about what the LCH is being used for. The narrator of the video of CERN, otherwise known as European Organisation for Nuclear Research, claims the two images had been forensically researched and been found to be genuine and not edited.? CERN is the modern day Tower of Babel project. The goal of the tower of Babel in Babylon was to open up new dimensions or portals to allow fallen angels to come through, to give them forbidden knowledge and the secrets to become a god or goddess. The CERN project is the largest, most epic project since the attempt to build the ancient Tower of Babel. There are over 10,000 engineers and physicists, from 85 countries, who have come to together and built a 17-mile long machine, called the Hadron Super Collider. What I find interesting is that Cernunnos was the horned god of the underworld. 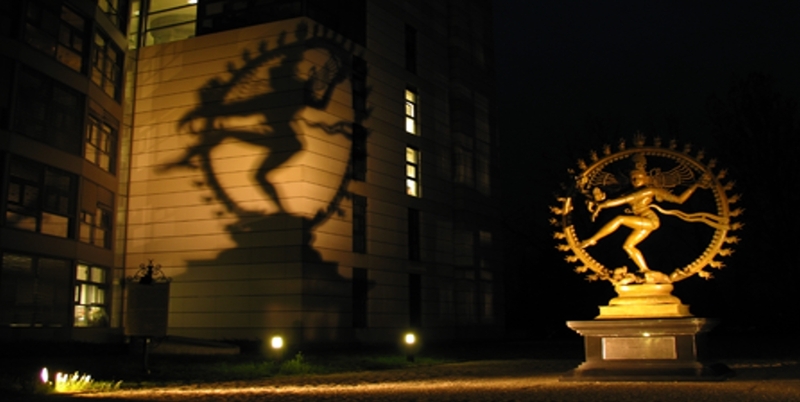 Do you believe it’s just a coincidence that CERN is short for this pagan underworld god Cernunnos? The goal is to connect with our dimensions, which we know as the spirit realm. "You have a full 60 days to review these disclosures. So work your way through these disclosures, make notes as you go along and see the frightening evidence of how the new world order is being implemented.